Puff Puff — A very popular West African street food that’s quick and easy to make with different variations. Dangerously delicious and addicting! 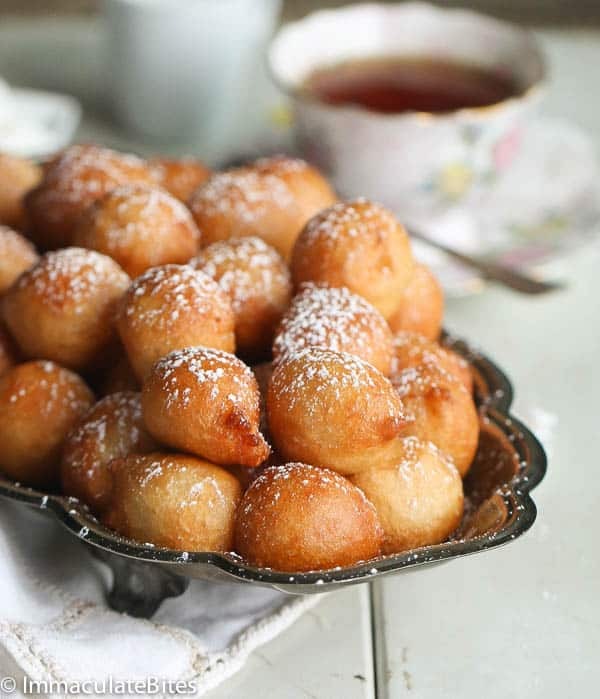 Most West African countries are familiar with the popular street food Puff- Puff, which is known by different names depending on the country. 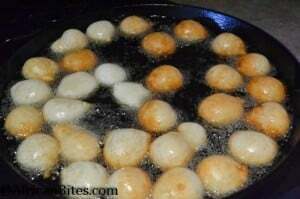 Ghanaians call it Bofrot (togbei) , Cameroonians and Nigerians call it Puff-Puff (Puff) or beignet in French. 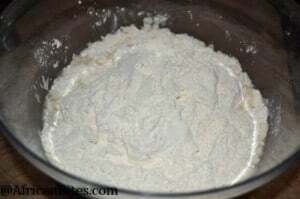 The basic ingredient consists are: flour, sugar, yeast, water, salt and oil for deep frying. It is an easy and quick recipe to make with different variations. This recipe is the one I have been making for years and the one that takes me back to my hometown. 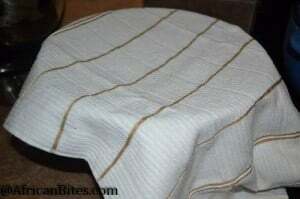 It brings back memories of late night snacking on the street. As a child, I would often watch in amazement how the women selling the puffs would grab the mixture with the tip of their fingers place it in the palm of their hands and drop the mixture in oil. I was fascinated by this process, and would go home and practice this act with any mixture I had on hand. But it never came out in proportion or visually appealing like the women did. After years of practice as an adult, I think I can proudly say that I finally got the hang of it. 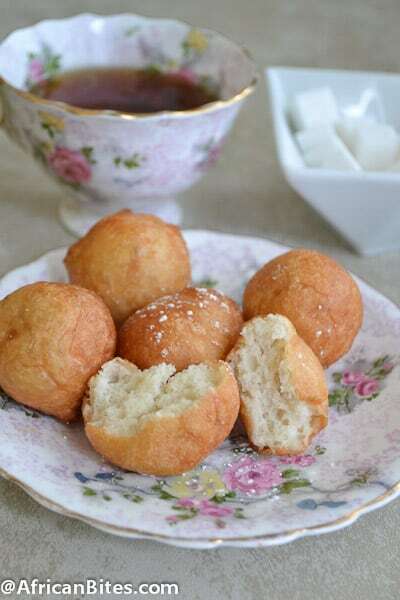 Puff-puff is usually eaten for breakfast, as a snack or as a side dish. Regardless of when you eat them, they are enjoyable with or without a side dish. A must-have for me – pepper sauce. 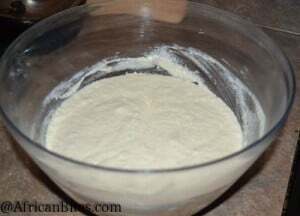 Use a spoon instead to scoop the dough into the oil if you do not want to use your hands. It still tastes delicious! For a Softer puff puff , add about 1-2 tablespoons more water . Some people find it a little bit hard after it stays out . You may cut back on the salt , if you are watching your salt intake , about 1 teaspoon salt will do. If your house is too cold, turn on the stove for about 2-3 minutes until warm . Then turn it off and let the puff puff rise , next to it . Or heat up the oven , turn it off when hot , wait until it cools down . You want it warm but not hot then let it rise in the oven. Check after 30 minutes to ensure it’s rising . 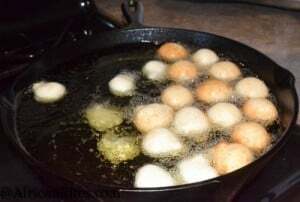 Puff Puff -- A very popular West African street food that's quick and easy to make with different variations. Dangerously delicious and addicting! Mix salt, sugar, water, and yeast . Set aside for 5 minutes. 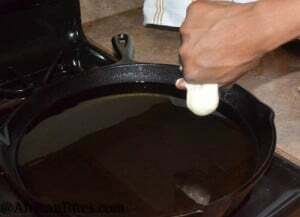 In a large,sauce pan pour vegetable oil into a pot, until it is at least 3 inches (or about 5 centimeters) high (too little will result in flatter balls), and place on low heat. Using your hands grab a little bit of mixture at time and drop in the oil. Foolproof, perfect t tasting, rounded puffpuff EVERY SINGLE TIME!!! Only change I made was to use 3.5 to 4 cups of water instead and that gives me very fluffy puff puff. Imma you are a genius. Thanks for the tip. Please the sugar measurements,which should one stick to because I usually don’t like my puff puff very sweet? Thank you, Immaculate and God bless. Will try this with fresh biltong and fried cubed onions. I wanted to know….I use an electric mixer. I am thinking that I shouldn’t over mix, just mix until blended. Is this correct? Is it better to mix with hands? Also, which oil do you use or is best to use? I tried vegetable oil, and it didn’t come out right. Either did sunflower. Unless I am doing something wrong. What heat is the best? If it is too high, I can’t put more than one or two balls at a time, if it is too low, they won’t fry. I use a standard oven which has dials of 0-10 with 10 being the highest. Finally, am I supposed to use a deep saucepan or a frying pan that you have in the picture? Or are they both okay to use? 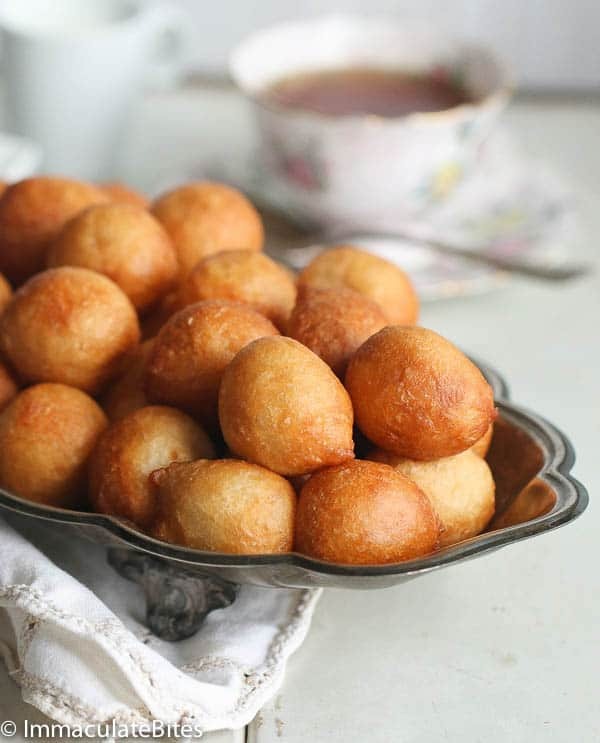 I always use my hands to make puff puff, it’s best – and yes you mix until all the ingredients have been fully incorporated. Also deep sauce pan is best or cast iron . . I would like to buy a cast iron. Is there any one that you recommed? I would like to go with 12 inches. Yes, go with Lodge. It really gets the job done . Thank you! I appreciate your prompt answers as well. I want to make these for a gathering. I will have to cook them the night before for the next day. What is the best way to keep these donuts after they are cooked? Refrigerate? Leave at room temperature? Also, when I am about to serve them the next day, are there any steps that I should follow before hand? For example, heat in oven or it’s okay to serve as is? Hello Imma! I am making your recipe for puff puffs for the first time. Is it correct that the recipes says 1/2 a tablespoon of salt or is that 1/2 teaspoon? Thank you. Hi, BN. It’s 1/2 tablespoon of salt. Happy cooking! My son found your recipe online for a class project. In celebration of the diverse cultural representation of his class he was excited to cook a West African dish as we recently learned some of our American family DNA has been traced and linked to Nigeria. This recipe is simply divine and delicious!! Not only is it satisfying to the palette and soul, but making the puff puff dish with my son was extremely fun! First time making it and it was a winner! Thanks to you sharing this with the world we now have a new family recipe to add to our holiday meals. I’m looking forward to making this over and over again and experimenting with different ingredients & toppings. I’ve fried, cooled and frozen the puff puff which are delicious by the way!! How do you thaw and at what temp and how long to you rehab in the oven? Thank you!!! Reheat in the oven at 300 Degrees F or until heated through, or bring the puff puff to room temperature and then reheat in the oven at 300 Degrees F, until heated through- start checking after 5 minutes . There might be a slight difference in texture between the two. Try it and see which one works best for you. Puff Puff came out great. Family loved it! Thank you. 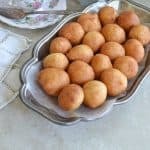 I just made puff puff today with your recipe and added some cinnamon and nutmeg to it and everyone that I have shared it with absolutely loved it! Thanks Sayo! So happy to hear this. Thanks! Will do my best! I am very curious and that is why I am asking….Aren’t CUPS a valid measuring unit??? YESS!! Thank you so much!!!!! Thank you so much for sharing. The result was amazing. Been making puff puff for about 6 years now but the outcome of this beats mine hands down. I’m so ditching the one I’ve been using. I added something extra though. Half teaspoon of grated nutmeg. I was in a hurry and put the covered mixture in my car which had been in the sun for a while with the windows open. In 30mins it had more than doubled in size and I went ahead to fry it. I’ll add a little pepper when next I try it out. Your fish roll recipe too. Fantastic outcome. May you receive in multitude folds as you give and share. I’ll be trying out some of your other recipes Thanks once again. I don’t see why not! Whatever rocks your boat!!! If it is the super large trays like the ones Costco have 5 times would fit. If not go with 4. 1 cup of flour is 125 grams I guess. Our cup measurement here in Canada is different. 1 cup I believe is about 145 grams the reason the first time I tried to make the recipe with our cup size, the consistency was very thick and needed more water. But when I used 1 cup as 125 grams, the recipe worked out well. Yes it is . Will do so moving forward, gradually working on updating older recipes . I have made these puff puffs 3 times in the last 3 months. My family love them and eat them up in only a couple of days. Today I doubled the recipe and it may be too much. Do they freeze well? Wow super recipe. I love this. Thanks. Followed the recipe step by step, and BAMM!! I did it just like a PRO and it tested sooooooo good 🙂 I love your site! Great recipe! Kids loved them with little sugar! I did use Canola oil instead of Vegetable oil, though. And I just had the rapid rise yeast (that I keep in the fridge when not using), so it only had to rise about half an hour. Going to check out what other recipes you have. Yess! Thanks for taking the time to let me know Sarah! I tried it. It didn’t even rise. I have d standard baking cups and spoons. I did everything just like u said but it still didn’t rise. Been like that for more than four hours. I bought the yeast in the market. A fresh, new packet. Please help me out. What went wrong? If your yeast is good then it is hard to say for sure. Can you put it in a warm area- or turn on the oven for about 10 minutes. Shut if off wait a few minutes, place the puff puff in the oven for at least 40 minutes or more until it rises. OMG o haven’t had puff puff in a while now. I’ll just take this weekend to be my experimental weekend. 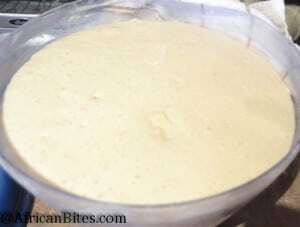 If you are measuring it out you’ll do just fine!As long as you use fresh yeast ,everything is going to works out and if it doesn’t rise up place in a warm area and it will start rising . I can’t wait to see your pictures. I bet you are going to nail it. I can’t say for sure without actually seeing you make it. It might be the measurements or your method of frying it. I usually use my hands. Ps: can you have newer reviews at the top. I had to read/scroll all the way down just to make sure that I hadn’t posted any reviews. YASSS!!! Thank you so much!!!! You are TOO kind Roses . Glad to hear this time it was successful.Nutmeg in puff puff sounds Amazing!!. Thanks for taking the time to let me know. What can I say? Bam, this recipe is spot on. You nailed it. This is the third review I’ve tried from you and man . What a Godsend. I’m just speechless. FYI I threw one about 2 tablespoons of Nido milkpowder along with 1/2 teaspoon nutmeg and 2 cardamom pods. Out of this world. Aww that’s so flattering to hear Rose! I’m so glad to hear your are trying out my recipes , thank you for your lovely message! Is it All-purpose flour or self-rising flour? 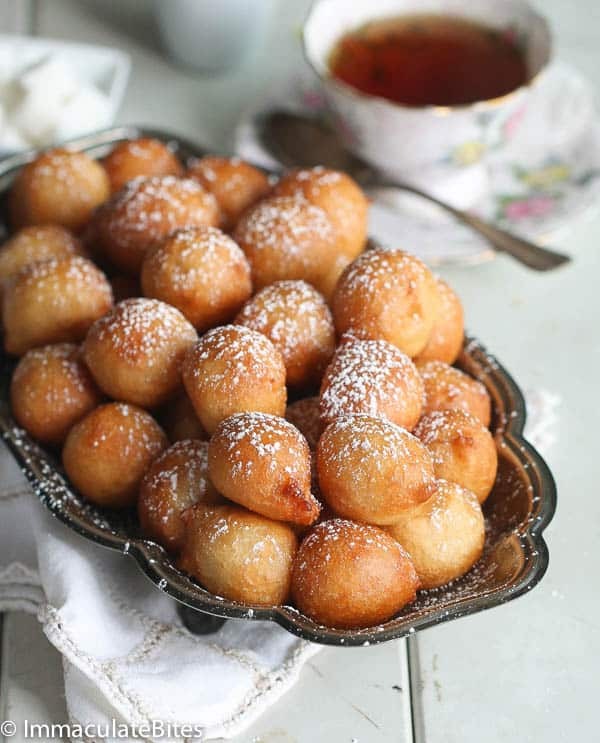 Curious to try your puff puff recipe and it looks amazing!! Thanks Fehi! It’s all purpose flour. Do you have any suggestions for feeding a large group of students? 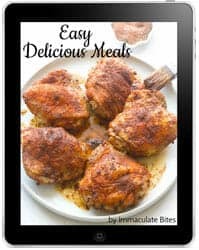 I’m looking for an African recipe that’s quick and easy. Triple or quadruple the recipe depending on the amount of Students . The recipe serves about 4-5. To make it really enjoyable warm in the oven if possible right before serving . 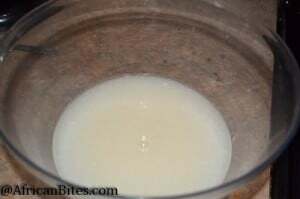 I did try this and used the fast acting yeast in sachets but my mixture didn’t rise even after 2 hours. It was put in an air tight plastic container as well. Where could I have gone wrong? Sorry to hear about this . It might be the environment- if it’s too cold the puff puff would take longer to rise. Try putting it in a warm place . The other culprit might be the yeast- make sure it’s fresh. Last but not least double check your measurements. I have not had this problem with puff puff but have experience it with bread and rolls. Hope this helps. Thank you for sharing your recipe! I wanted to now what kind of oil do you use, and are these light enough to add a fruit filling once they’re done, thank you in advance! Thank you for sharing. I was able to succeed for the first time after several trials. It turned out great! I like your recipes overall. Keep up the great work! It does work with wheat flour. However, me no like the taste too much. You might like it though. If you do, add a little bit of water to make the dough lighter. Wheat flour is heavier.